So far we haven't done much decorating in the apartment so I ran errands all day yesterday finding items to brighten up our space! A lot of the apartments in our complex have wreaths on their front doors. So I decided it would be fun to craft one for ours! I got all of the materials at JoAnn Fabrics, but you can get them at any craft store. The base of the wreath is foam, and these circles come in different sizes and shapes. I picked one that was medium size. 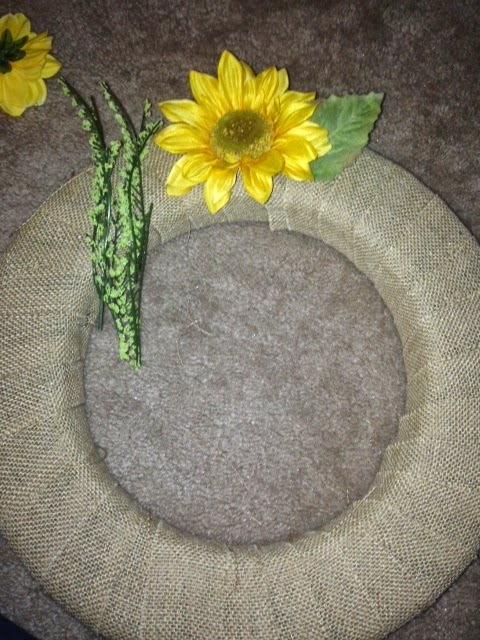 Burlap is the perfect covering, because it goes with any colored flowers and gives an outdoorsy feel. 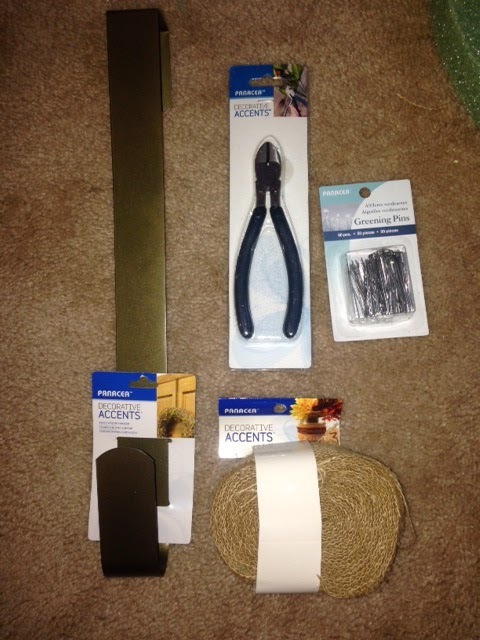 I also picked up wire cutters, greening pins, a door hook and bright fake flowers! 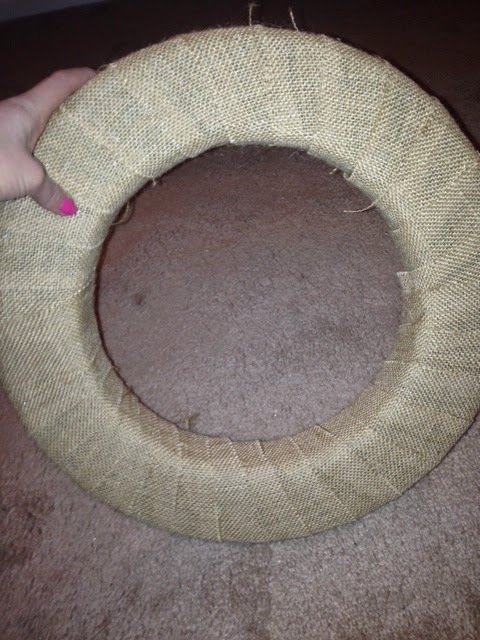 Step 1: Wrap the entire base with burlap using the greening pins to secure it to the foam. 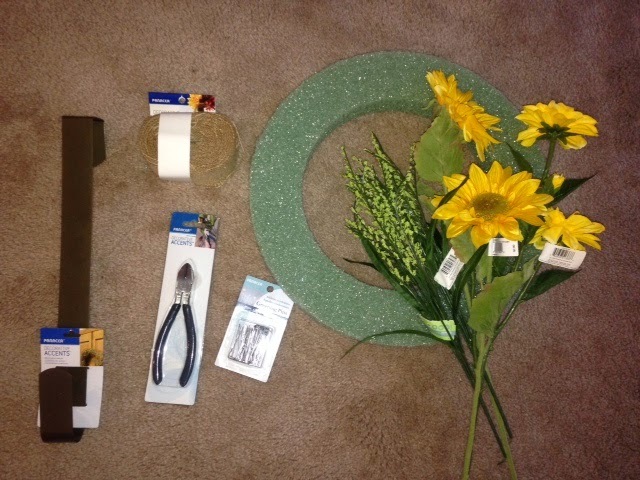 Step 2: Use the wire cutters to cut the flowers and leaves you want to display on your wreath. Make sure to leave part of the stem on the flowers so you can stick them into the foam base. I just played around with the flowers and leaves until I had the design I wanted! 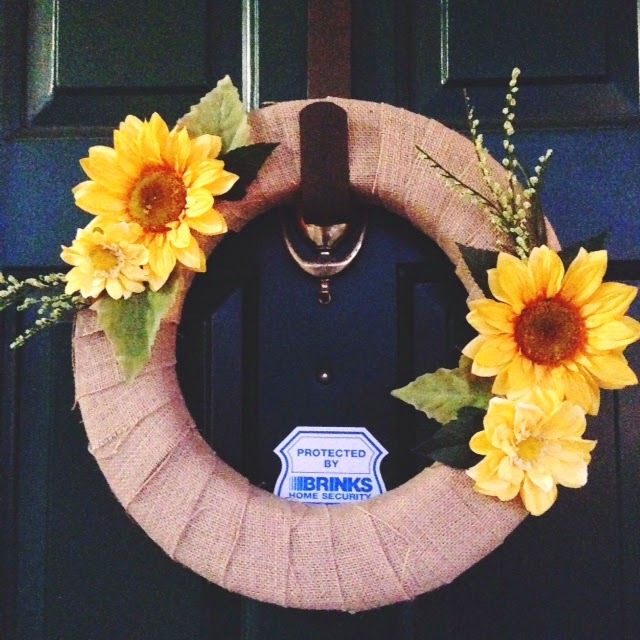 It is so easy to make a unique wreath for your front door, the possibilities are endless! Hope everyone has a great Sunday! Thanks for stopping by! I would love to follow you, I am checking out your blog now. I'm in love with this DIY! Perfect for the spring and summer time. :) Do you plan on doing any DIY projects for your wedding? Thanks Sarah! Yes I definitely plan on doing some DIY wedding posts!